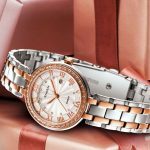 Watches—we all love them, don’t we? They make for thoughtful gifts and collector’s items. But from what has happened over the time. It’s all about the tag that comes along; it’s less of a watch and more of a reflection of one’s personal style and taste. No wonder then that most watch lovers want to flaunt only the best of brands. They lay their hands on every possible design there is so they can add one to the collection. So, let’s talk about a brand that has been around forever now and eternal in its entirety. Casio! Yes, this brand is also synonymous with luxury watches. Here’s your chance to find out what the brand has on offer in its collection. A little sheen does not hurt anyone, neither does a lot of it. 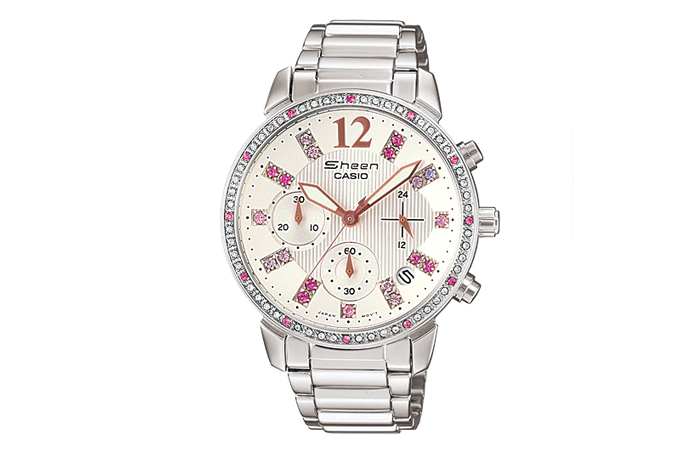 ‘Sheen’ is one of Casio’s best-selling watches all time, and we are not surprised that it is. A timepiece that screams party and fervor like no other. 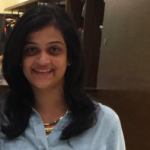 It goes with our traditional Indian attire and will look just as good with western wear as well. You can always dress down use these accessories to make style statements. Either way, it’s a piece you need to add to your collection. Pink, sparkling, diamonds and everything we (women) love is in here. 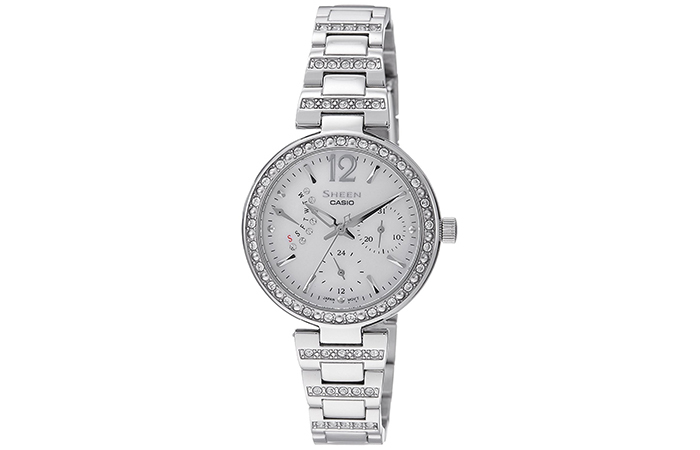 The rhinestone-studded bezel, the swarovski crystal dial, is water resistant and a total stunner. 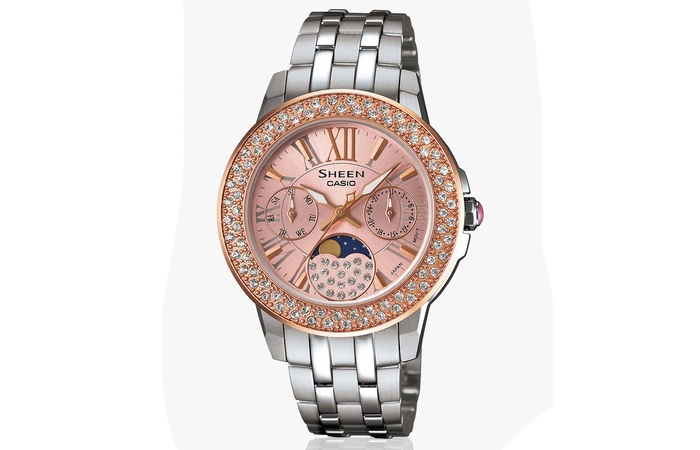 Another masterpiece from the sheen collection. It is not just good-looking, but also functional. It comes with a provision to display date, hour and minute. Different and dazzling is what you need. An effortless everyday essential that goes with any attire and any occasion. 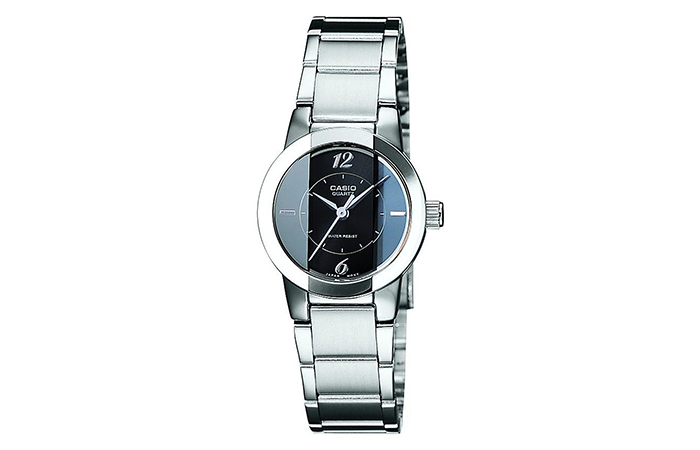 The combination of a black dial with stainless steel gives it a chic finish. If you’re someone who loves wearing your watch on your left, this looks even better. Red never fails you, and colored watches pop out like no other. An analog watch that denotes day, minutes and hour in gold coated indexes on a white backdrop of the dial makes it interesting. The rhinestone embellished bezel marries the entire look together. This unusual design is made to perfection, and the finesse is truly matchless. The intricate detailing of the numbered indexes like the day, hour and minute amps up the aesthetic. The tiny specks of white stones and the embellished dial rounds this off to a perfect hundred. 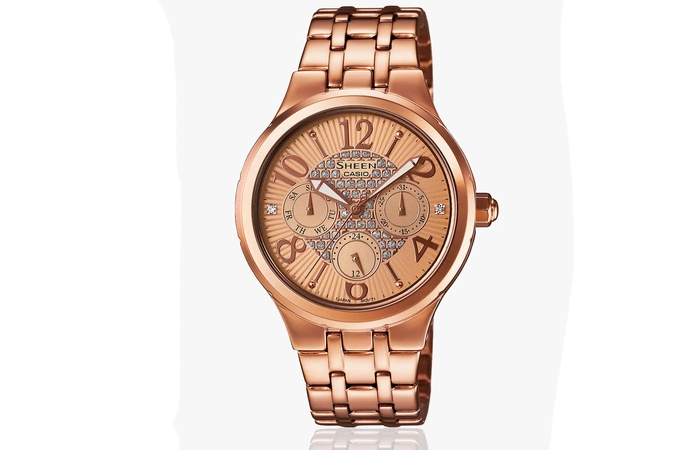 Rose gold dial with blue and pave stone embellishments is an effacing combination of all good things in one. The rhinestone bezel is complementing the look without making it seem like it is over the top. The bracelet style silver chain and the rose gold combination is strikingly different but in the right proportions. If offbeat choices are your thing, this could be the one you were waiting for! Globetrotter? Love Travelling? Always on your toes? You have got to check this out. Sturdy, robust and stylish—everything for a woman on the go. 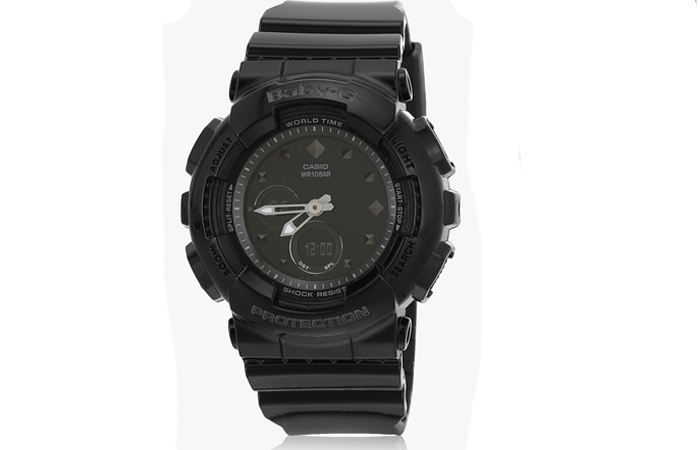 Plus, the digital and analog combination with the resin strap is both functional and comfortable. It is also shock resistant which is pretty self-explanatory from the name, but it’s worth mentioning. Watches like these are value for money and will last you a long time. You’ve got to fetch one of these babies. A total ladylike for everyone with a femme choice. 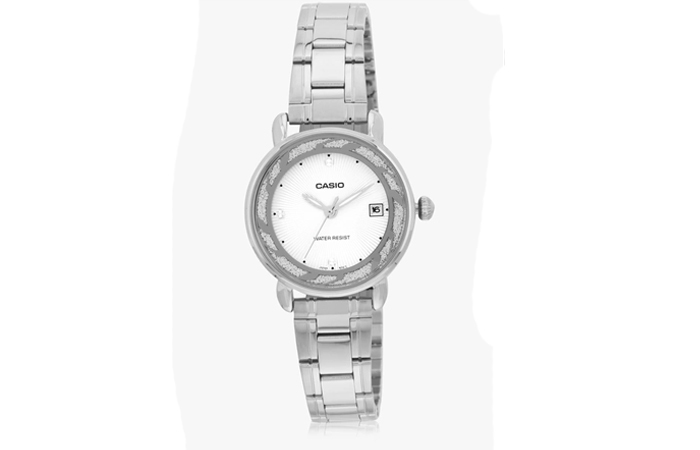 Silver, sparkle and slender, a wonder from the house of Casio. The white dial makes for a beautiful canvas that pops out tiny details. The black markings for numbering, provision for displaying the date, the pave-stones and fizzy bezel goes with both Indian and western outfits. Also, makes for a thoughtful gift. Are you on a shoestring budget but looking for something that is beautiful and valuable? Here is something for you. 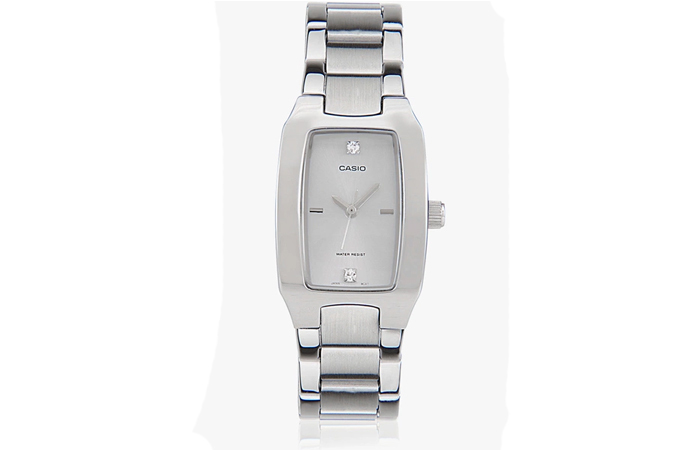 A stainless steel silver watch with rectangular shaped dials are classic, timeless and will never go out of style. Sport this with a simple saree, chic kurta or on your everyday attires; it will look just as distinct and good with each of them. An affordable and stylish addition to your collection, for sure. 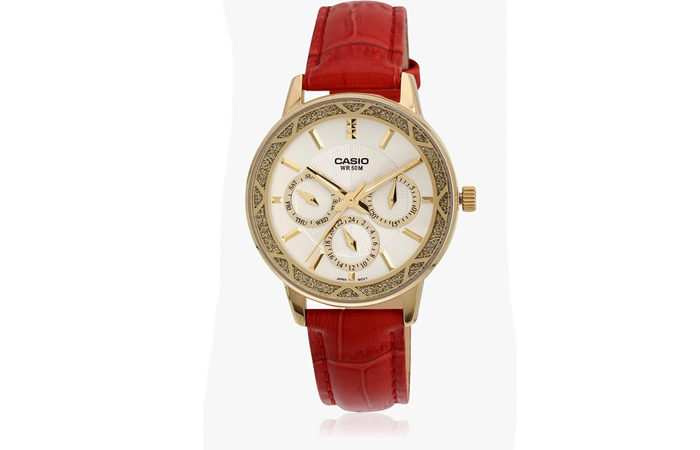 Not able to decide between formal and a casual watch? Looking for something stylish yet elegant? Chic and functional? Affordable and classy? Here’s something that will rightfully check off all those boxes amongst many others. 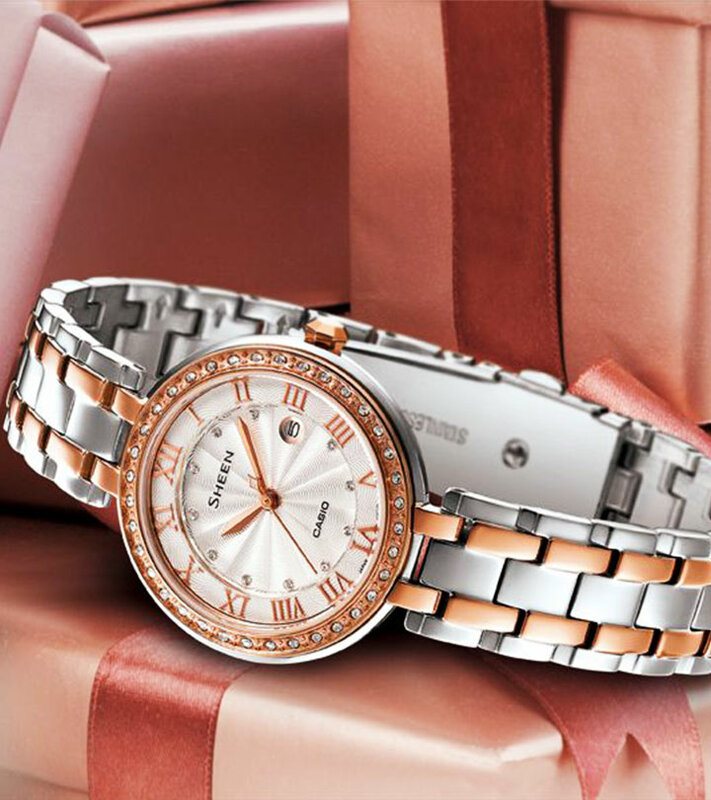 The stainless steel silver bracelet is a stunner, and combining it with a white dial with stone embellishments all over yet striking a balance without making it look swanky. 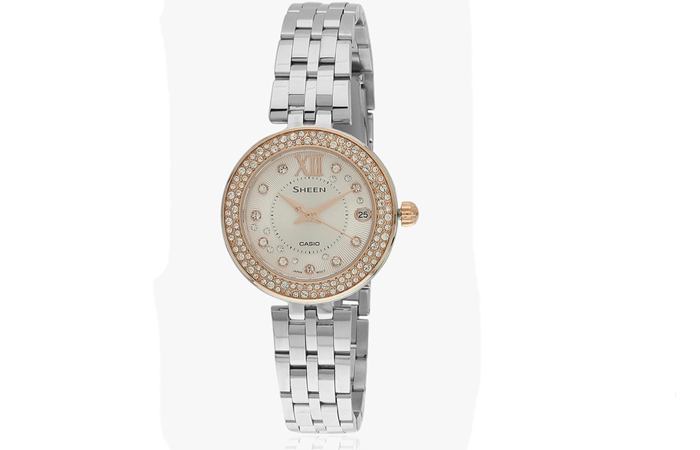 A watch like this has to be part of every girl’s collection. 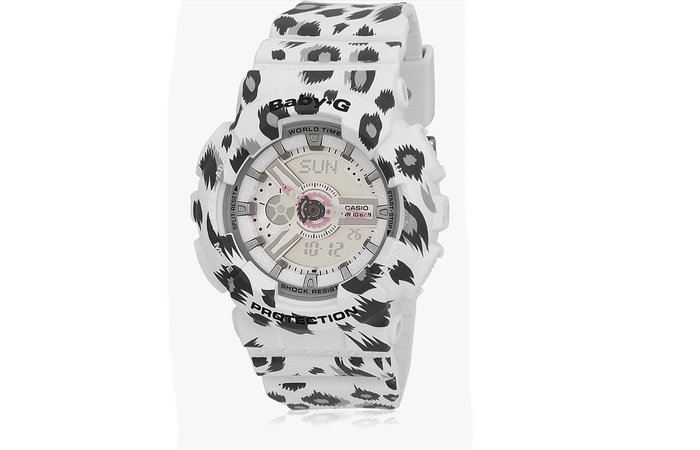 A stylish and funky take on the G-shock variant. Every single watch in this design is distinct in their way and let me tell you, choosing from these umpteen options is not easy. Like they say the proof is in the pudding and the novelty of brands like Casio, is known for the little detailing. For starters, the resin strap with printed strokes adds the feminine element and the pink indexes will steal your heart no other ever will. 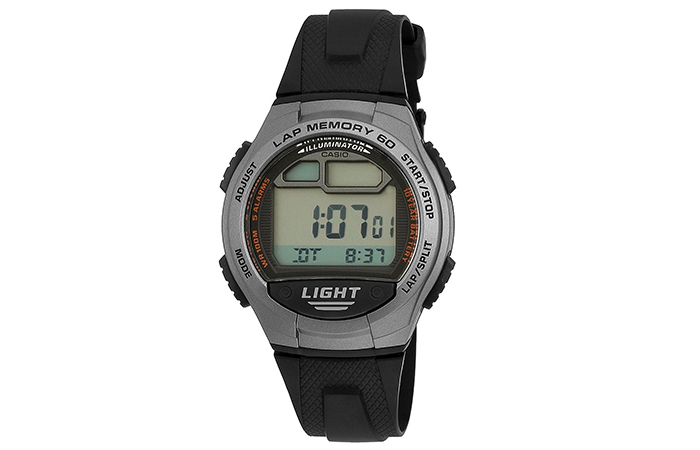 Are you a fan of analog watches but can’t have enough of digital watches too? Need something robust and with a hint of style? It’s a fair expectation when you’re investing money into it. Here’s a watch that fits the bill for all us watch junkies. A blend of stylish and functional, utility and chic, analog and digital. 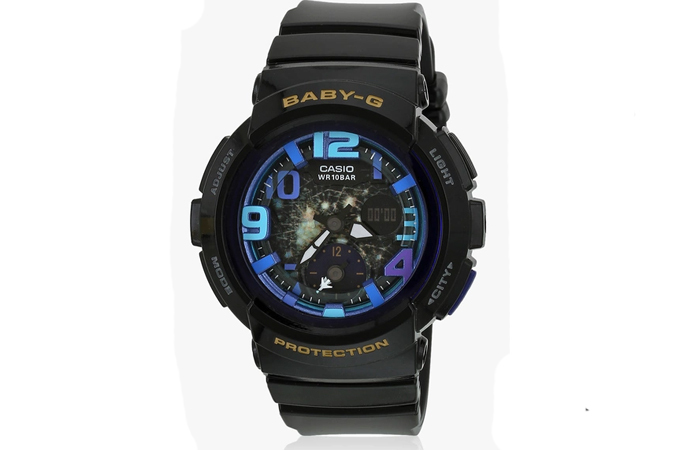 The rubber dial is robust and shock resistant, the resin strap is long lasting and durable, plus it is water resistant. The hues of blue to the black backdrop brings the feministic quotient. Don’t you love it, already? I know, I do! Suits – Big wrist. It will also suit small wrists because it is feminine. Are you looking to gift your sibling, mother (in-law) or anyone else? Can’t seem to decide what might be a good idea? For beginners, a watch conveys eternal love. 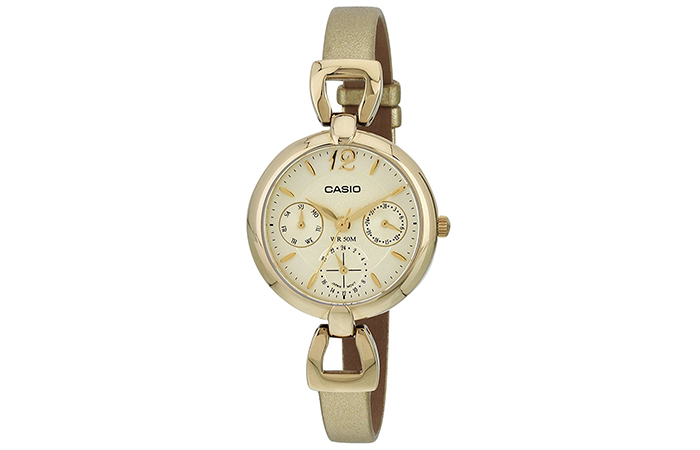 Sleek, stylish and elegant is something most women love, and you can’t go wrong with this. The monochrome gold watch with a leather strap, round dial that comes with month, date and minutes setting rounds it off to a functional and classy piece. Are you an outdoor person? Do you prefer turning over to your wrist for the time, over, reaching for your phone? Here’s a generic, unisexual and sturdy piece that should be part of your collection. It is durable, affordable and comes with little or no TLC whatsoever. One less thing to worry about. What say? 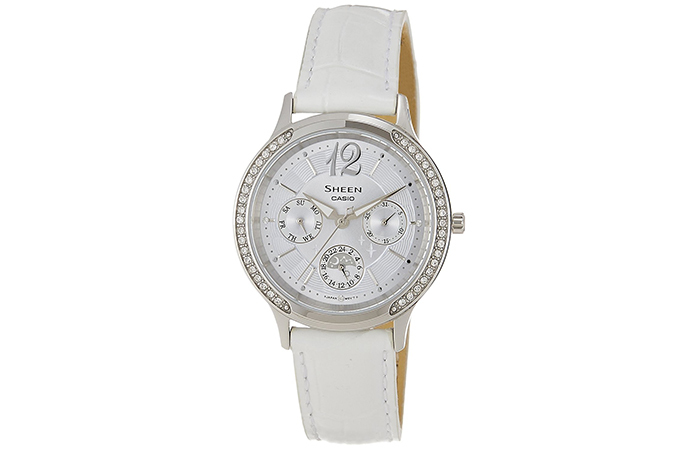 A monochrome white watch with a tad bit sparkle and enough elegance? What’s there to not like? In fact, I think we all should own a piece like this each. It goes with any outfit and can be either used for color blocking or as a matching accessory. Another piece from the ‘Sheen’ collection that caught my attention that is worth every bit of it and every nickel you’d invest. It may not seem like it, but a single piece of accessory like a watch can speak volumes about someone’s personality and style. What is your preference? Do you prefer the slender feminine ones? The sturdy outdoor? Or sheen and shiny? Leave a message in the comment section and let us know. Happy Shopping! 20 Best Selling Handbags You Need To Get Your Hands On, Right Now!